Hon. 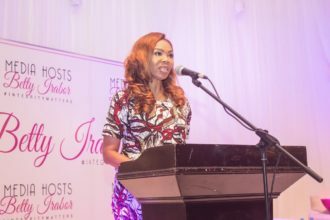 Nike Akanda, Betty Irabor, and others join Sebeccly Cancer Care ‘Change Her Cancer Story’ Campaign. 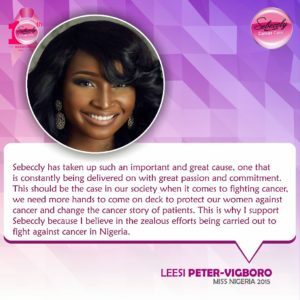 As part of Sebeccly’s 10th year anniversary celebration, the “Change Her Cancer Story” online campaign, which features notable personalities from various sectors (Local & International) was launched with an aim to raise awareness,encourage cancer patients and advocate for better cancer care policies in Nigeria. 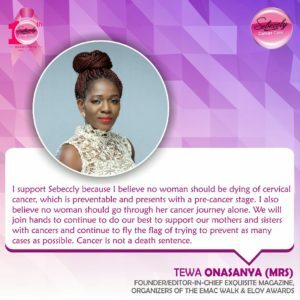 Dr OmololaSolako, founder of Sebeccly Cancer Care, emphasizes that there is a gap in awareness creation and the behavioural practices of many women. She also believes that the information is not being strategically disseminated. 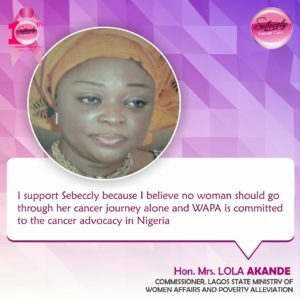 Celebrities and other important personalities have taken to heart the current cancer situation in Nigeria, teaming up with Sebecclyin order to ensure that information gets to the right people & in time. 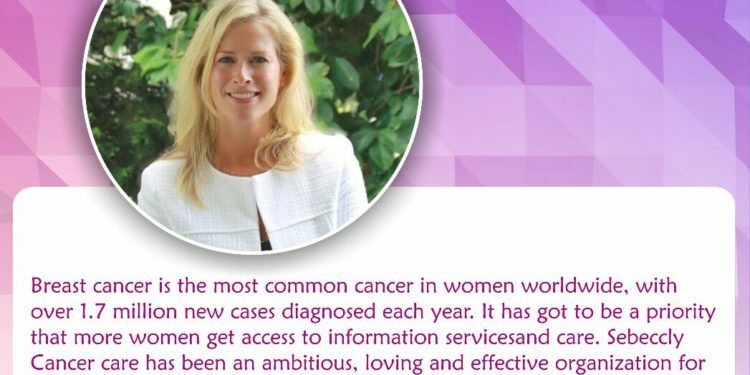 In 2012, 27,000 new cases of Breast Cancer were diagnosed of which 13,960 died from the disease. The survival of breast cancer patients at 5 years is less than 14% as the majority of patients are not informed and don’t have access to screening and prevention services hence over 80% of patients present with advanced disease. Secondly, over 80% pay out of pocket for cancer care and eventually become bankrupt causing delays or discontinuation of treatment and or seeking cheaper ineffective alternative treatment. Cancer care is largely excluded under health insurance and its cost is unaffordable, this puts a financial strain on the patient and their relatives. However, these personalitiesteamed up with Sebeccly to be a part of this cause, because they believe that no woman should through her cancer journey alone. 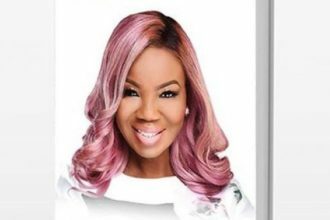 The Sebeccly Anniversary Gala is scheduled to hold on the 25th of September 2016 at the Lagos Oriental Hotel, Victoria Island.